Golden rules for a trip to remember. 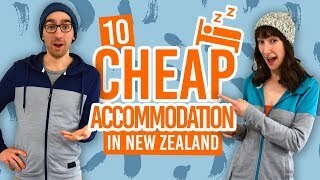 Never miss a spectacular glacier, an impressive mountain range, the rugged coastline, or fantastical blue waters on a New Zealand backpacker bus journey.There are more options for backpackers than you could want to make your way around the country by bus. New Zealand’s Hop-on Hop-off bus network is extensive and action-packed, so the bus companies like Kiwi Experience are sure to give you the adventure to remember. On the other hand, the coach bus network is cheap and extensive, with some companies serving over 600 stops all over New Zealand. To really add the icing on top of the cake, the rest is up to you. Follow our golden rules of taking a backpacker bus to really make the most of your journey. Need to learn more about this whole Hop-on Hop-off bus thing, check out our guide to the New Zealand Hop-on, Hop-off bus network. Check also our New Zealand bus network article for a broader view on the bus system down here. Your bus will probably be full of backpackers, most of them travelling alone who can’t wait to make friends. Put on your best smile and dive in. You’ll meet people from all over the world when roaming around the roads of New Zealand! After all, there’s heaps of reasons to travel alone, and meeting new people is one of them. Some backpacker buses stop at plenty of photo opportunities. Make sure that your camera or phone is fully charged so you can take your token tourist photos. If you can’t handle long bus rides on narrow windy roads, invest in some travel sickness pills. Also, try to avoid being completely hungover on the bus the next day. It seems obvious, but one spewer can ruin the trip of an entire bus… The smell can haunt someone for a lifetime. New Zealand is a stunning country and you will not want to miss a thing. There is nothing wrong is asking the driver which side has the best view. After all, they have driven that road a thousand times and they’ll be happy to advise you! What is the best way to make friends or break the ice with that cute girl sitting next to you? That’s right, saying: “Do you want some?” while holding a big pack of candy… Who doesn’t like snacks?! Consequently, packing some lunch food will save you money instead of buying it from a pit stop cafe. Travelling is an enriching experience. Once embraced, everybody loves it and is often described as “the best time of my life”. Yet, there is always a small group of people that will work hard on finding something to complain about. Use your sense of humour to make the most of every situation, even if something doesn’t go quite right. Nobody likes a grumpy traveller. Enjoy yourself! Many coach buses have toilets for your convenience. However, the stink licking your face can be nightmarish on a long journey. Pick a seat away from the toilet to avoid discomfort. The Hop-on Hop-off buses tends to stop 4-5 times per trip to check out the New Zealand awesomeness. 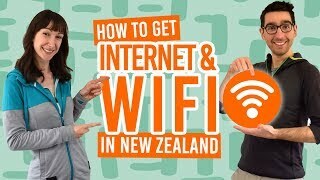 However, there is always a few passengers that stay in the bus texting, scrolling through BackpackerGuide.NZ, or trying to connect to the pretty bad internet network. New Zealand is best experienced outdoors away from technology. We know we are awesome but check out our website at night in your hostel. One second you’re hot; the next you are cold. Have an extra jumper and you’ll be the envy of the bus. Extra tip: If you have the said jumper handy and are not cold, use it as a pillow. 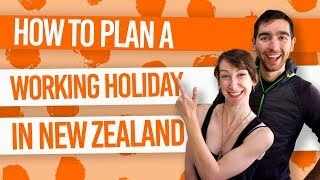 For more tips on what to pack, check out What Clothes to Pack to Travel in New Zealand. Ok, travel crushes happen often. Hook-ups happen more often. That’s all part of the every day life in the Hop-on Hop-off buses and part of the experience. 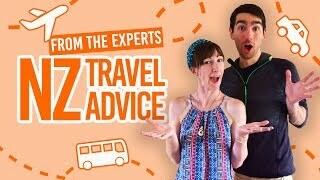 However, here is our advice: casually ask you potential hook-up when are they are next taking a bus, as there is nothing worse than awkwardly avoiding that person in the hostel and bus for a week after things don’t quite work out. 12. Don’t miss the bus! 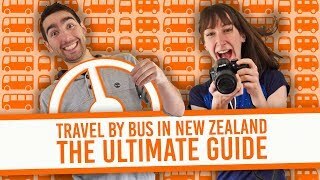 There is an unspoken rule in the New Zealand bus world: the bus can be late, but you can’t! Buses often leave early morning. If you are not at the right place at the right time, the bus is likely to leave without you and there is nothing you can do about it. However, some bus drivers may consider waiting for you a for a few extra minutes. Then you just have to deal with the pissed-off passengers who had to wait for you. Sudoku, book, music, movies… If you are planning to take a long coach bus journey at night, let’s say Wellington back to Auckland, you will need to keep yourself entertained. Luckily for you, if your journey is schedule on a bright sunny day, the stunning landscape guarantees hours of entertainment. In an Hop-on Hop-off bus, people will play games – sing, switch seats every 10 minutes, or anything else – just do it! It will be fun! There is nothing wrong about stepping out of your comfort zone. In fact, there is no better place to do so than a bus full of backpackers that are all doing the same thing. Backpacking is all about meeting people. So what if that guy has weird teeth. So what if that girl has a crazy laugh… Nobody cares, they will be good fun to hang out with and their stories are probably worth listening to. Make friends, be happy and take in every moment!